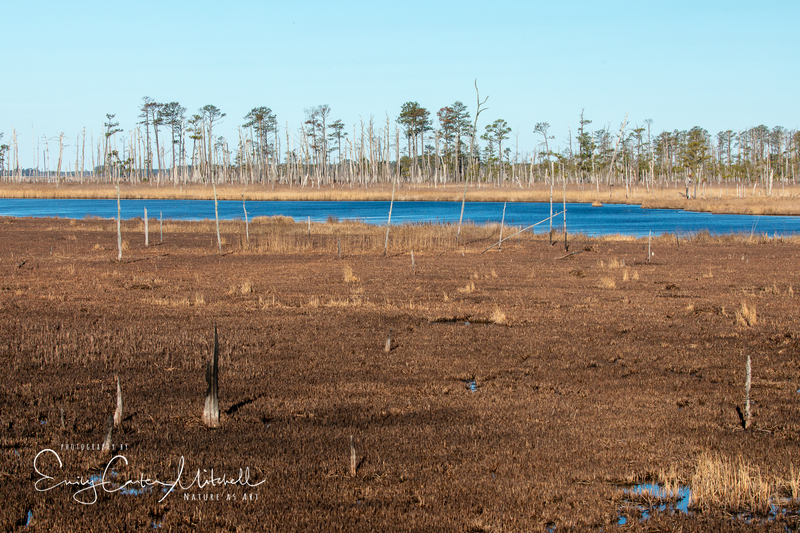 One of my favorite adventures in March is a trip out to Blackwater National Wildlife Refuge and a stop through Cambridge on my way back. There is usually a Bald Eagle festival hosted at the refuge, but due to the government shut down earlier in the year, they cancelled the event. But that didn’t mean that I couldn’t still go out and enjoy it. Bringing along several members of the Shutterbugs meetup group we endured a cold and blustery day. Eagles were plentiful flying high in the air and soaring into the wind. 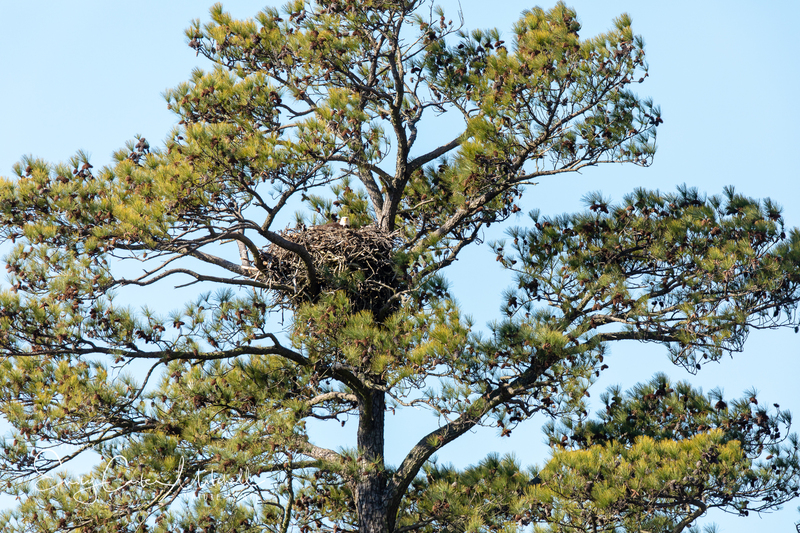 Along the wildlife loop we spotted a Bald Eagle sitting on a huge nest and it was fun to see her head just popping up from it. It is the first time that I may have the chance to see nesting bald eagle chicks so I’m anxiously awaiting to see if their eggs hatch. There were a nice little variety of ducks but many of them were further away than I would have liked for a lovely capture so I decided to try out some blurs. The strong winds helped move the grasses and I brought the image into Topaz Studio for a touch of pencil and impressions for a unique look. In a section of Blackwater, the remains of a controlled burning had changed the landscape. 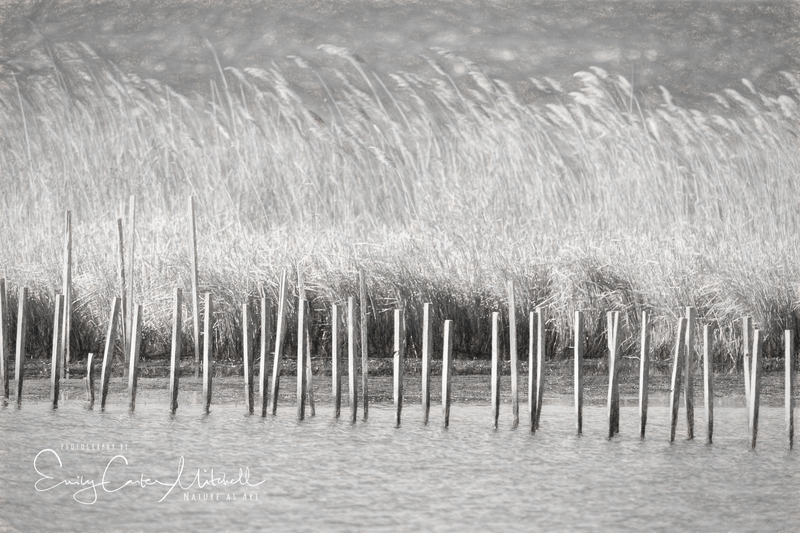 Overrun with the invasive Phragmites which is native to Asia and Europe but managed to sneak on board like a hidden stow-away on a ship in the 18th century, these beautiful grasses take over the landscape provide no nutritional value to wildlife. Burn and even dredging them from wetland areas frequently occur in wildlife refuges to give native plants a fighting chance. Of course, no winter visit to Blackwater NWR is complete without a stop in Cambridge to the Wall of Shame to enjoy the wintering ducks in hopes of a handout. In spite of being bone-chilled from being outside in the windy cold air all day, it was a great outing and I enjoyed spending time with old friends and making new ones. 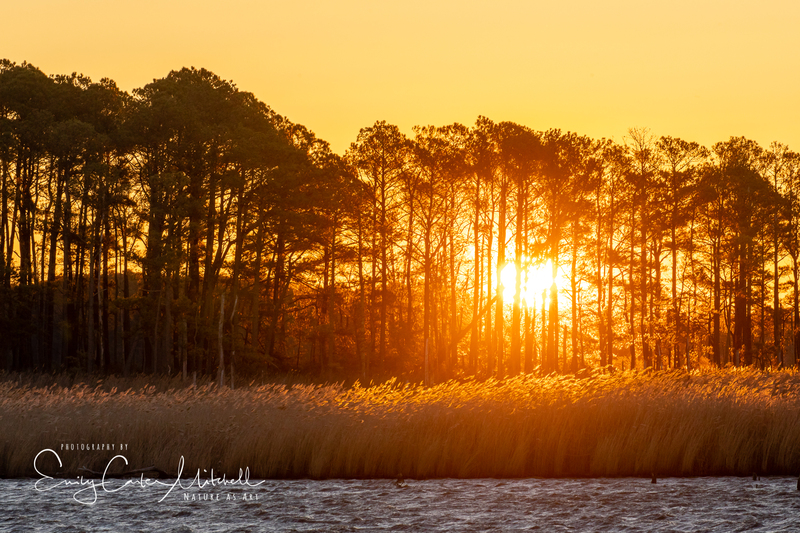 You can never go wrong with a visit to Blackwater NWR where wonders abound!